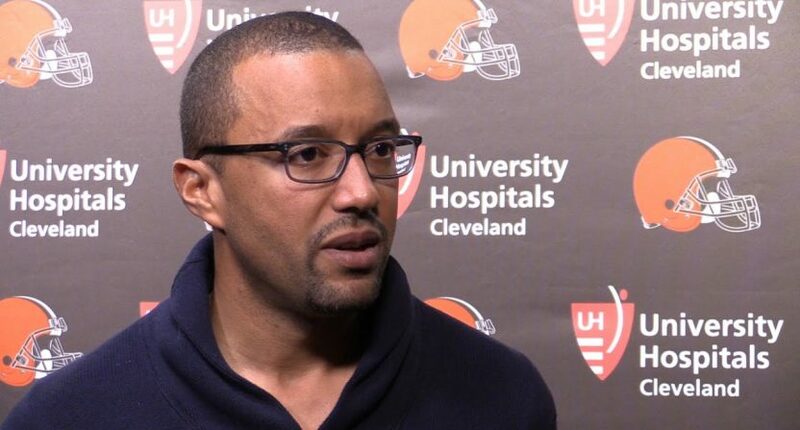 PHILADELPHIA – Cleveland Browns general manager Sashi Brown reminded the team’s long-suffering fans today that while most think the point of the NFL Draft is to acquire good players, the real draft winners are those who come out on the other side as more enriched people. Brown says he has encouraged everyone in the organization to look at their careers in the bigger picture. Asked if he had been smoking marijuana to calm his nerves before the draft, Brown confirmed that he had. www.SportsPickle.com is a sports fan web site and is in no way affiliated with any professional sports team, league, or its Properties. This site is for informational and entertainment purposes only. Copyright © 2017 www.SportsPickle.com - All Rights Reserved - Trademarks used herein are property of their respective owners. www.SportsPickle.com is part of the NESN digital network.